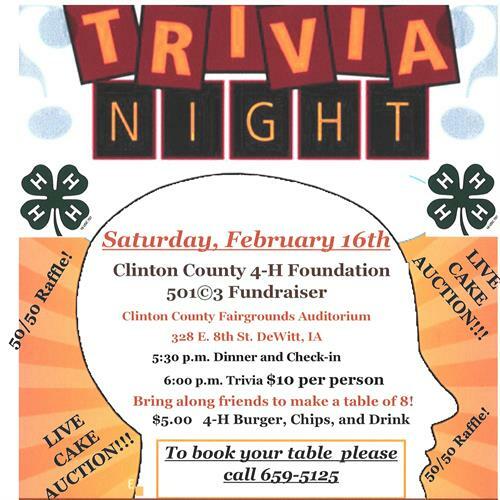 Join us for a night of fun and laughter with Trivia at the Clinton County Fairgrounds Auditorium on February 16th. 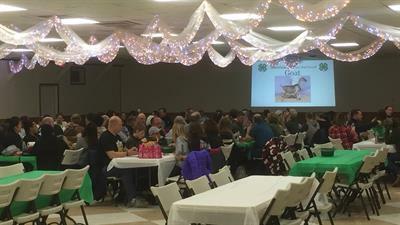 100% of the proceeds will be used for 4-H scholarships this year in Clinton County. 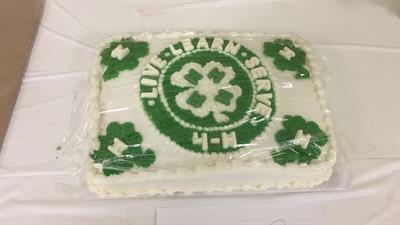 Call the Clinton County Extension office (563) 659-5125 to RSVP for a table or to donate a cake for the auction.